Keeping your business premises clean and tidy plays an important (and often underestimated) part in creating a good impression to your customers. PaveClean provide highly effective cleaning for your exterior surfaces such as patios, driveways and decking for commercial properties and public spaces in and around the Nottingham and Derby areas. 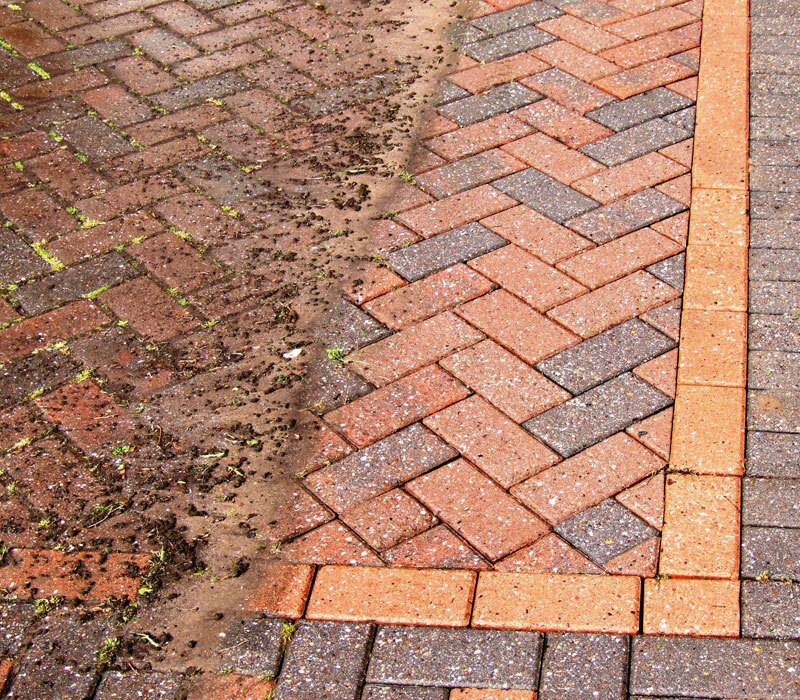 Using a high-pressure deep-cleaning jet washer, we can rejuvenate your surfaces to remove all traces of dirt, weeds and effects of weathering. Paveclean offer a fully customised cleaning service to types of commercial clients including Restaurants and Pubs, Schools, Public Spaces such as Parks, Hotels and B&Bs, Sports Clubs, Residential Homes and Retail and Business Premises. When their outdoor surfaces such as patios and driveways start to look worn, many business owners and public service providers look at getting them re-laid or completely replaced, which can cost thousands of pounds and take weeks to complete. By bringing your existing surfaces back to life with a thorough clean and/or sympathetically restoring broken areas to their former glory, PaveClean can potentially save you thousands of pounds! Image is always important in business – don’t put your clients off by leaving your outdoor surfaces to become victim to wear and weathering!